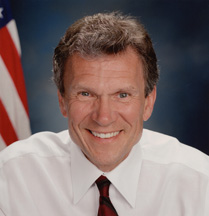 A Representative and a Senator from South Dakota; born in Aberdeen, S. Dak. on December 9, 1947; attended private and public schools; graduated South Dakota State University 1969; served in the United States Air Force 1969-1972; elected as a Democrat to the Ninety-sixth Congress in 1978 and reelected to the three succeeding Congresses (January 3, 1979-January 3, 1987); elected as a Democrat to the United States Senate in 1986; reelected in 1992 and 1998 and served from January 3, 1987, to January 3, 2005; co-chair, Democratic Policy Committee, Democratic Conference (1989-1999); minority leader (1995-June 6, 2001; 2003-2005); majority leader (June 6, 2001-January 3, 2003); unsuccessful candidate for reelection in 2004. InterMedia Partners Giant media industry private equity firm run by major Democratic donor and philanthropist Leo Hindery Jr.
Nathan Daschle Nathan Daschle is the Executive Director of the Democratic Governors Association. Leo Hindery Jr Managing Partner of media equity firm InterMedia Partners and major Democratic donor and philanthropist. Cybele Bjorklund Staff director for the Health Subcommittee on the Committee on Ways and Means in the United States House of Representatives.